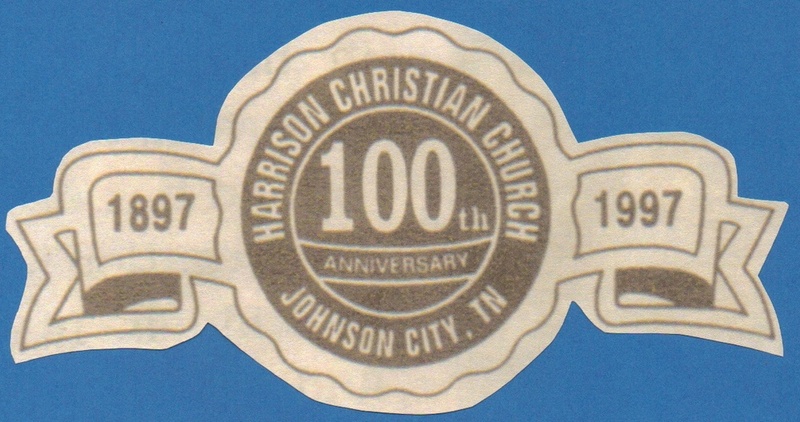 Harrison Christian Church was founded in 1897 as Harrison Chapel Church of Christ. Times have changed and we've grown but we have stayed true to our roots. we've grown but we have stayed true to our roots. Below you can read our interactive timeline or browse photographs and other media from the years. The cornerstone of the sanctuary which houses a time capsule. The church ground from overhead when Peoples Street was constructed. 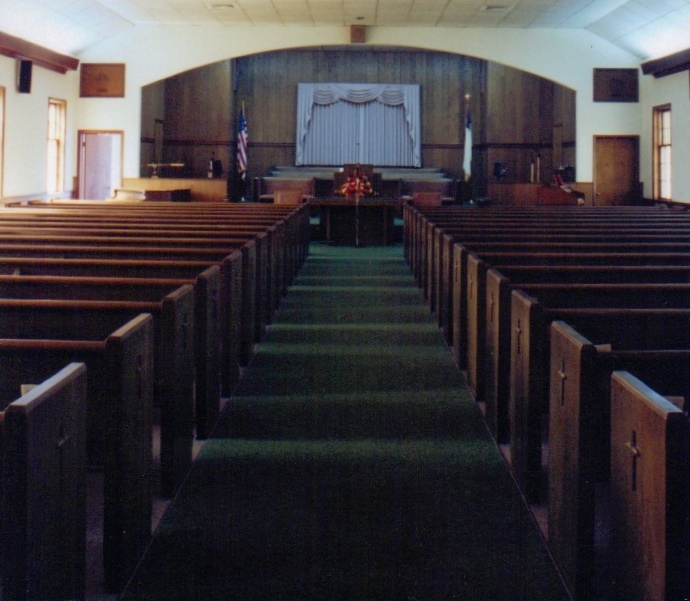 Our current sanctuary before the 1996 remodel. 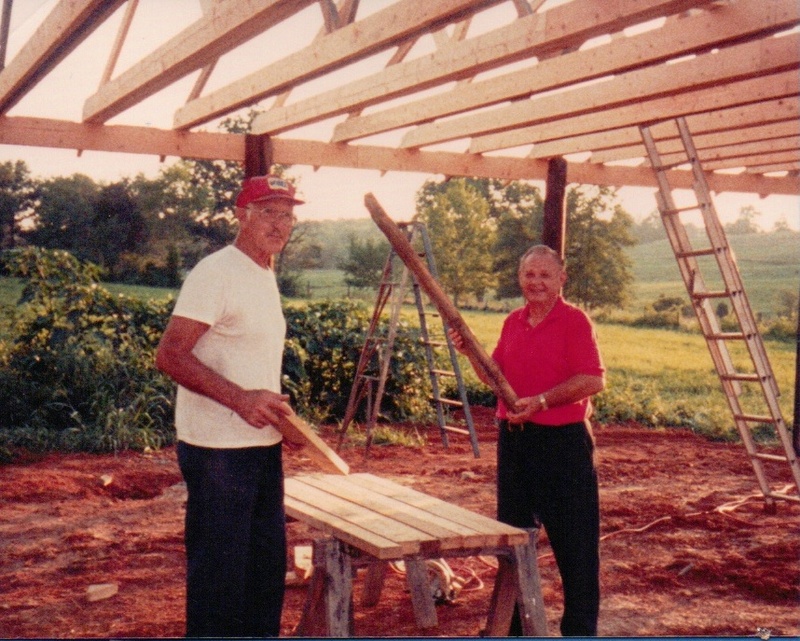 The pavilion being constructed in 1984. 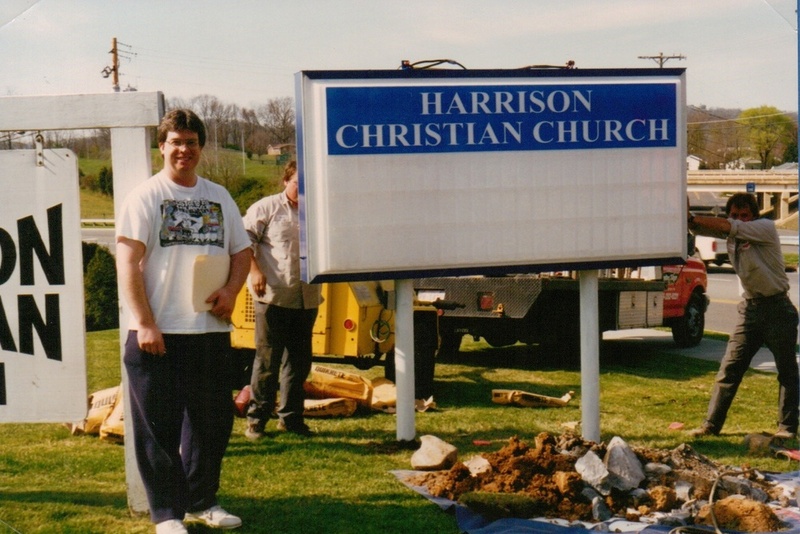 The sanctuary being remodeled in 1996. 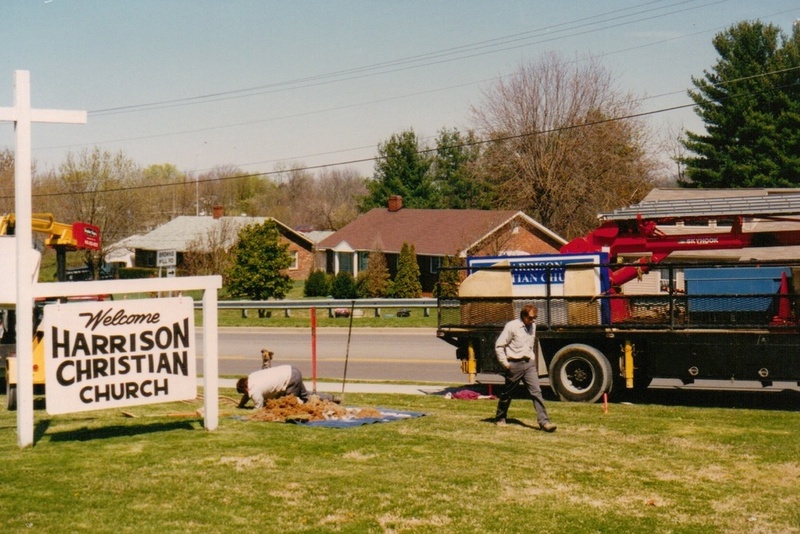 During the 1996 remodel, church services were held in the fellowship hall. The first dedicated church building, built in 1898. 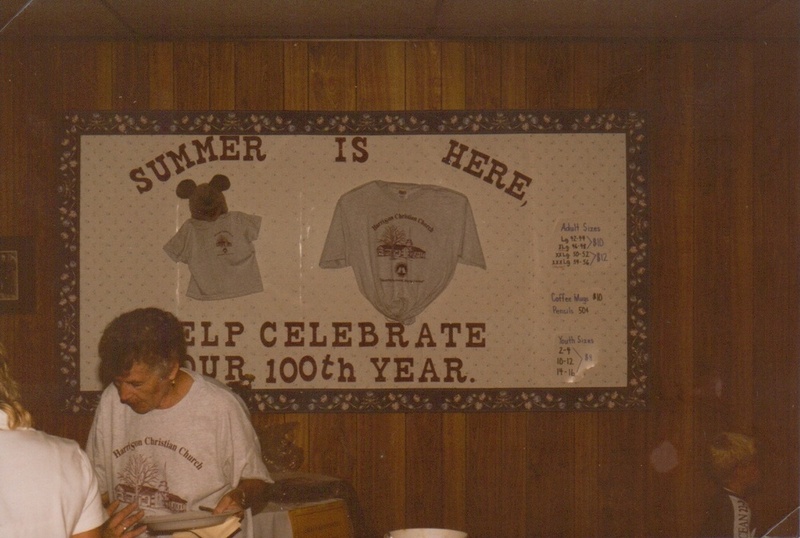 This building still stands today as part of our original structure. HCC today. photo by Amanda & Chad Photography.